LAKEVILLE, Conn. – The winning drivers of January’s IMSA Rolex 24 Hours of Daytona and last weekend’s IMSA Mobil 1 Twelve Hours of Sebring – the brothers Ricky and Jordan Taylor – will be racing in Connecticut at Lime Rock Park in the USAC Pirelli World Challenge series, the opening event of Lime Rock’s 2017 season, Memorial Day weekend May 26-27. 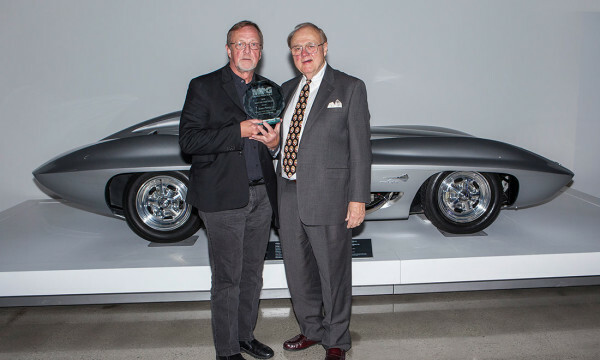 The Bros. Taylor, sons of prototype and GT racing icon Wayne Taylor, are longtime General Motors stalwarts, even at the tender ages of 28 (Ricky) and 26 (Jordan). 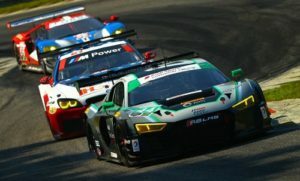 They race the #10 Konica Minolta Cadillac DPi-V.R prototype for their father’s team, Wayne Taylor Racing, in the IMSA WeatherTech SportsCar Championship. 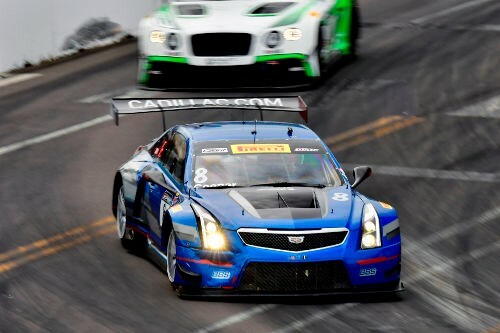 At Lime Rock, the Taylor Boys have been contracted to join Cadillac V-Performance Racing drivers Johnny O’Connell and Michael Cooper in the Pirelli World Challenge (PWC) GT races. 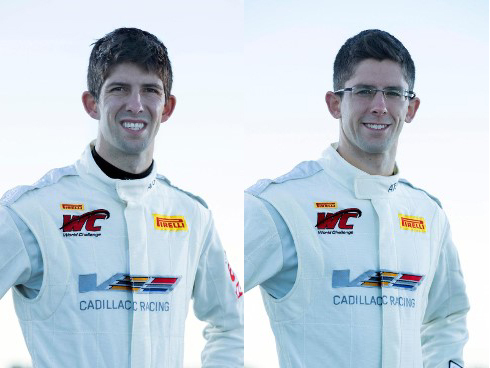 O’Connell and Cooper drive the #3 and #8 Cadillac ATS-V.R, respectively. 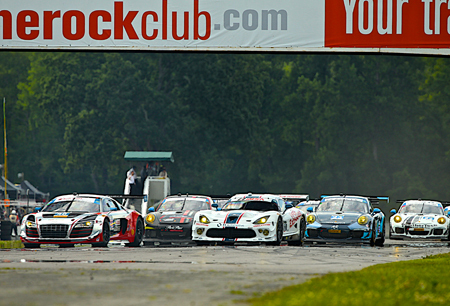 New for 2017, the two Lime Rock PWC GT races will be the SprintX 60-minute format: Two drivers per car, with a mandatory driver and tire change at 25 minutes. 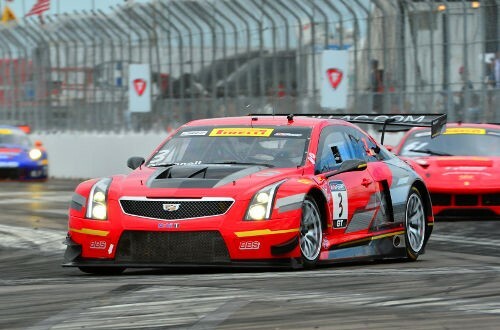 The Cadillac driver pairings haven’t been finalized, but word on the street is that Jordan will be O’Connell’s co-driver, and Ricky will be with Cooper. 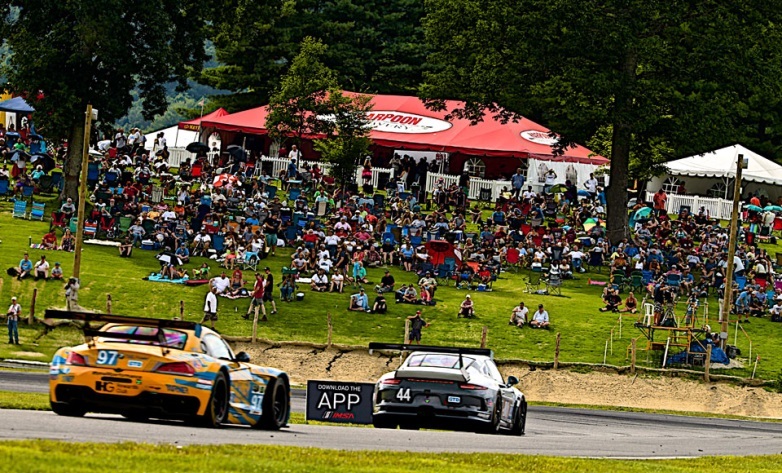 In last year’s two “regular” PWC GT races at Lime Rock, O’Connell had a third and a 17th, while Cooper finished eighth and 14th. Purchase general admission tickets at a discounted pre-event price now at limerock.com. 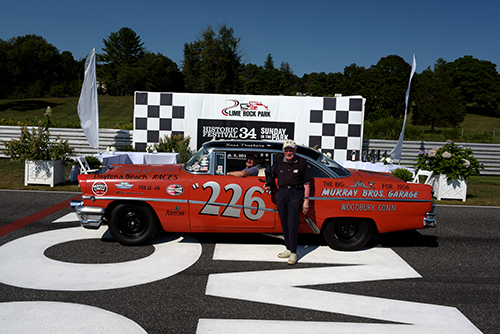 Mohegan Sun Fan Hospitality and Personal Cabana passes are available, too. 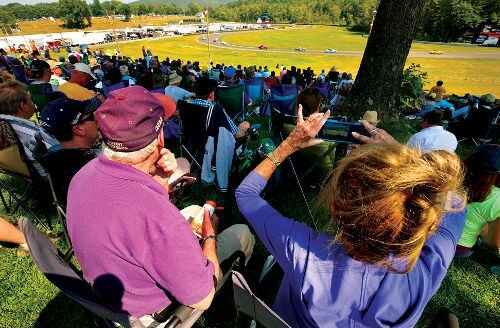 GA tickets are $23 for Friday, $45 for Saturday, and $60 for Fri./Sat./Sun. 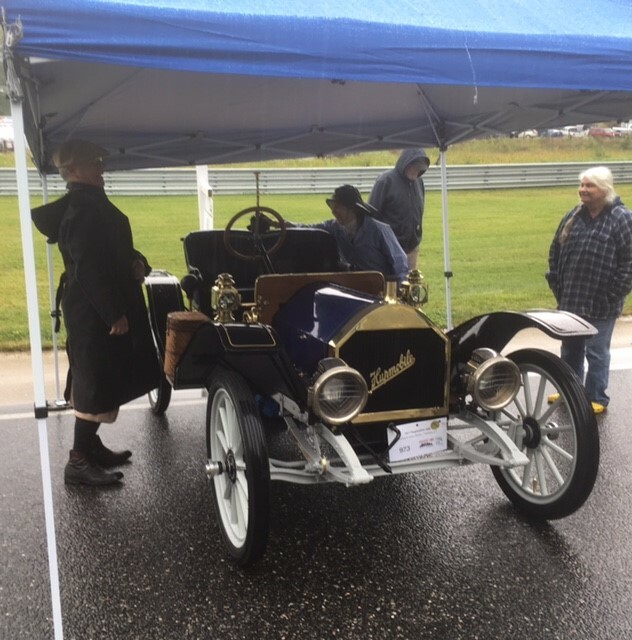 (the Sunday Royals Car Show) weekend. 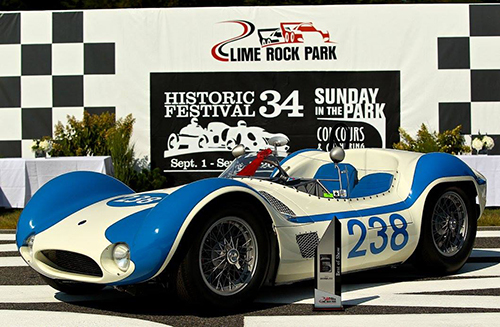 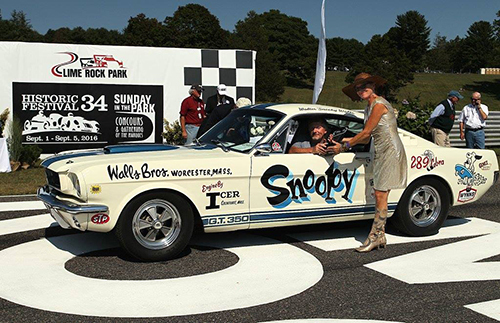 LAKEVILLE, Conn. – Lime Rock Park’s Historic Festival 34 (September 2-5, 2016) has been nominated in the category of “Motorsport Event of the Year” by the U.K.-based International Historic Motoring Awards (IHMA), presented in association with Octane magazine and EFG Private Bank. 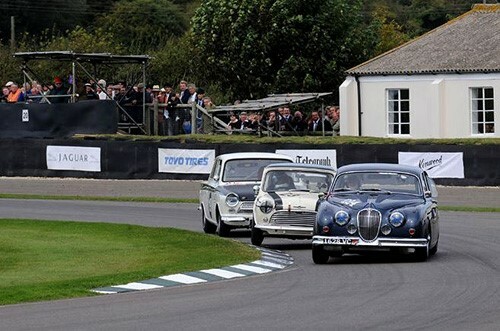 The search to find the “best of the best” in the international historic motoring world reached its final stages last week, as the panel of expert judges assesses the nominees that have been shortlisted in each 2016 category. 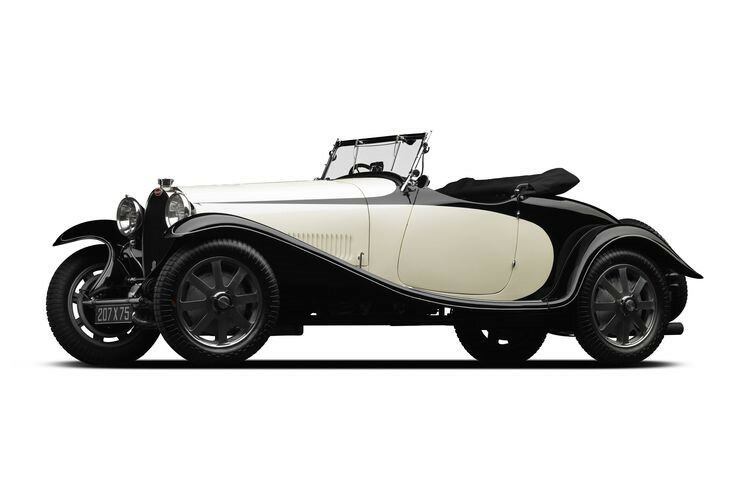 The IHMA categories celebrate the diversity and depth of the historic motoring industry and the individuals that work within it. 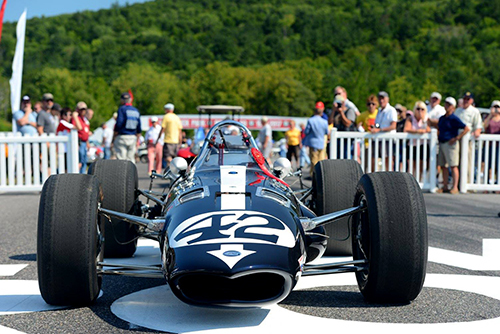 Judges such as Derek Bell, car designer Peter Stevens and Pink Floyd drummer and historic car collector and racer Nick Mason did not have an easy task, with a splendid range of international candidates to choose from across the various categories, including Denmark’s Rømø Motor Festival, Italy’s Concorso d’Eleganza Villa d’Este, Germany’s Eifel Rallye Festival and no less than three American automotive museums. 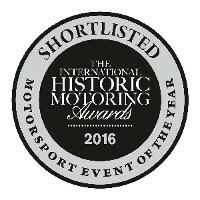 The winners of each category will be announced November 17 when the “great and the good of the historic motoring world” gather at London’s Guildhall. 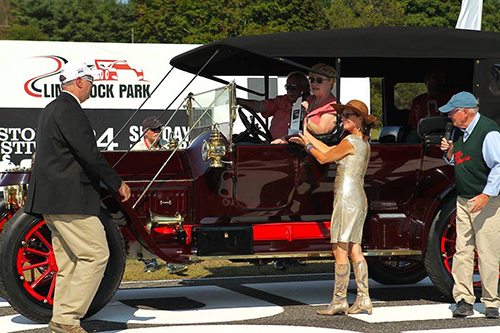 For 34 years, America uniquely has one vintage automotive event that combines a prestigious concours d’elegance with authentic vintage and historic racing competition, all on the same property, all on one extended weekend. 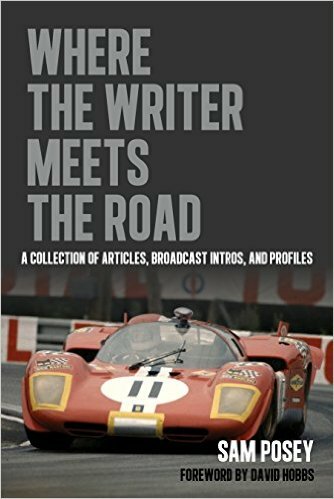 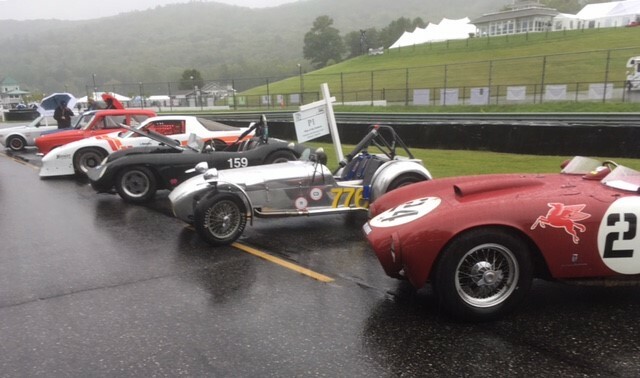 In 2016, Historic Festival 34 (and its concomitant Sunday in the Park Concours d’Elegance) saw 264 authentic race cars competing over three days in a total of 36 races (including 28 authentic, 1966-1972 SCCA Trans-Am cars, all with documented, in-period race histories), while the Concours had 281 invited entrants plus another 588 collector cars of all stripes in the “Gathering of the Marques” exhibit. 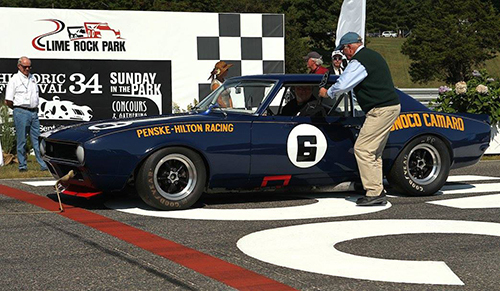 American racing legends John Morton and Peter Brock were the Honored guests (following 2015’s Sir Stirling Moss and Jochen Mass), with Morton racing in six of the weekend’s races. 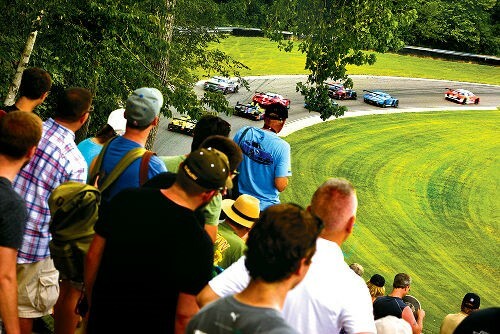 Lime Rock’s Historic Festival is by far the venue’s biggest, most popular, highest-attended event. 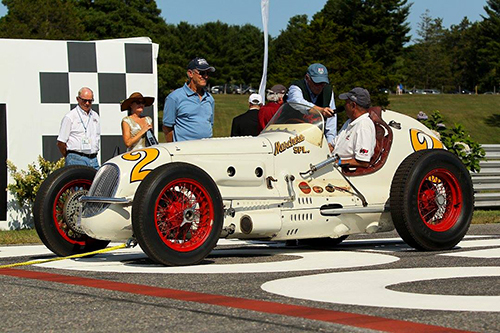 It’s a massive affair, with dozens of automotive elements including “swap meets,” a vibrant Fan Midway and special displays to once-in-a-lifetime car collections (e.g., Ralph Lauren’s), demonstration laps (e.g., the 1939 Mercedes-Benz W154 Silver Arrow Grand Prix car) and iconic Honored Guests and Collectors. 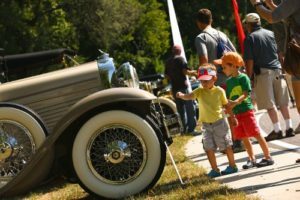 Historic Festival 35 is already scheduled for Labor Day weekend next year, September 1 – 4, 2017 and it promises to be another spectacular event that should be on every car enthusiast’s calendar. 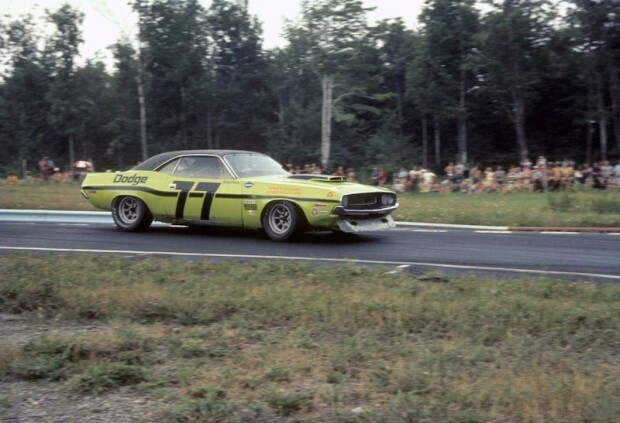 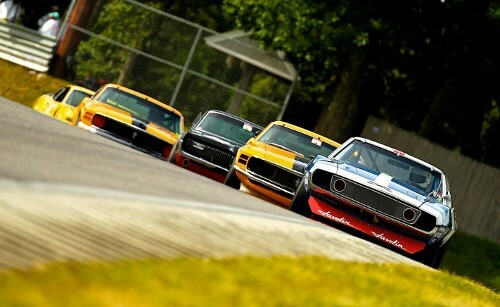 Extremely popular race group at Historic Festival 34 was that of the authentic Trans-Am cars. 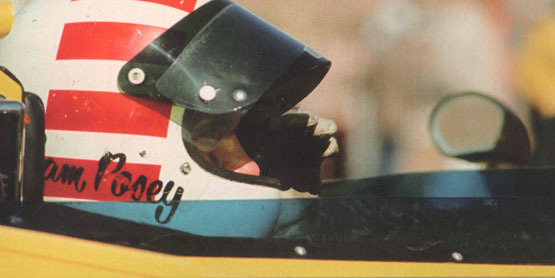 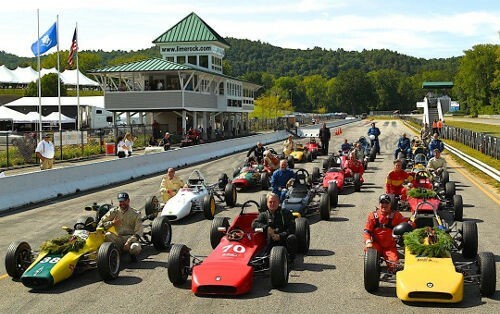 A terrific collection of Formula Fords provided excellent open-wheel action. 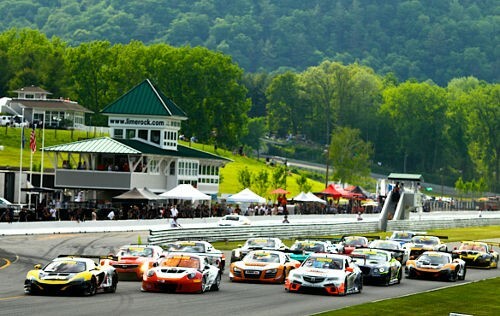 LAKEVILLE, Conn. – General Manager Steven Sewell has announced Lime Rock Park’s 2017 major spectator event schedule, noting that it models the successful 2016 season. 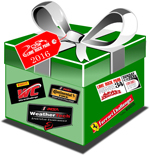 May 25 – 28 Pirelli World Challenge – no-pit-stops sprint racing – features all eight PWC classes: GT, GTA, GTS, GT Cup, SprintX, plus the three Touring Car classes – TC, TCA and TCB. 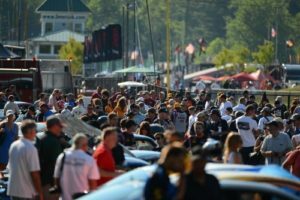 GT is where manufacturers such as Cadillac, Acura, Bentley, Audi, McLaren, Ferrari, Nissan, Porsche and Mercedes-Benz all come to play. 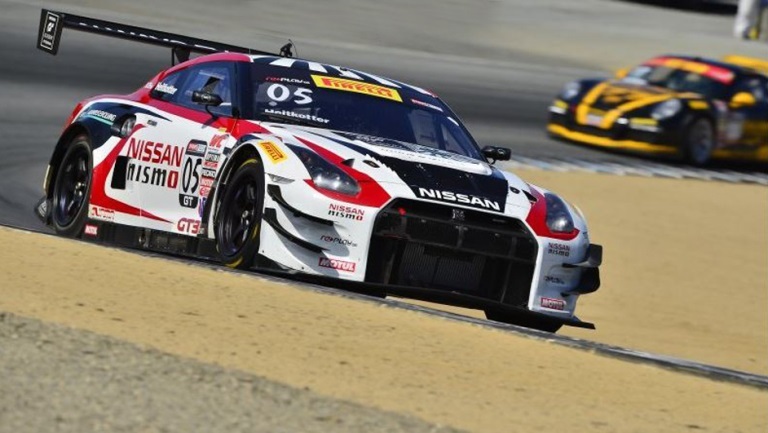 Many teams in the GT and GTS classes will also compete in two 60-minute “SprintX” races, with racing duties shared by two drivers. Sunday features the return of the popular Royals Car Show. 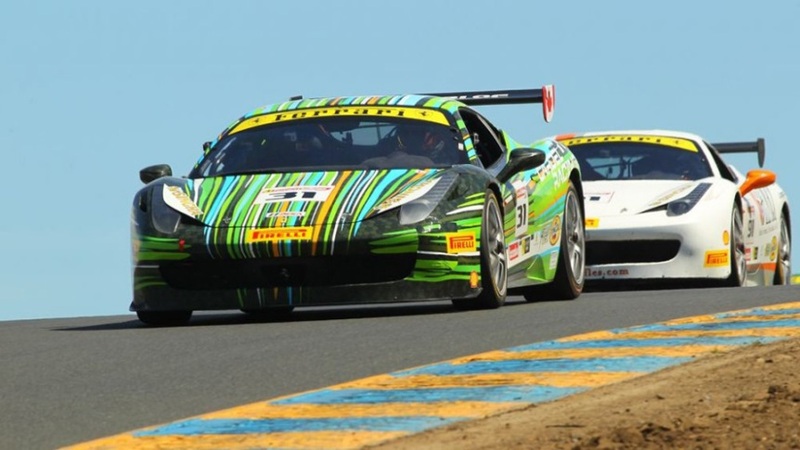 July 21 -22 IMSA WeatherTech SportsCar Championship, endurance racing at its finest, will again feature the extremely popular GT Le Mans (GTLM) division and the GT Daytona cars (GTD is closely aligned to the international GT3 rules package, very attractive to the world’s carmakers). 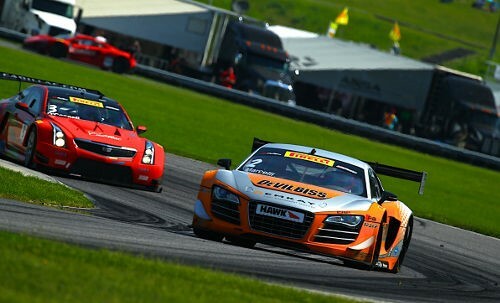 The IMSA event includes the separate Continental Tire SportsCar Challenge Championship race; Grand Sport (GS) and Street Tuner (ST). 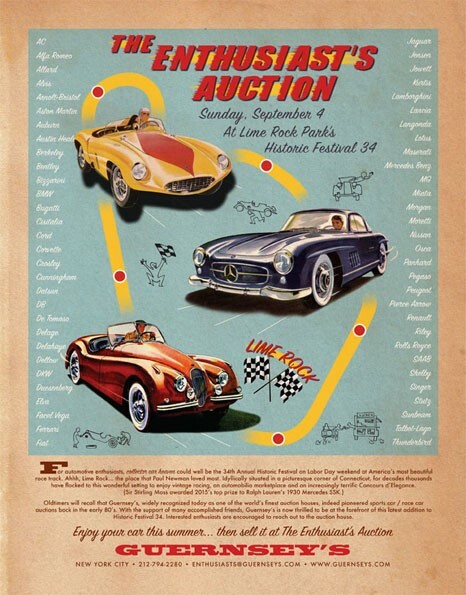 vintage races to a prestigious concours on Sam Posey Straight and a huge collector car show. 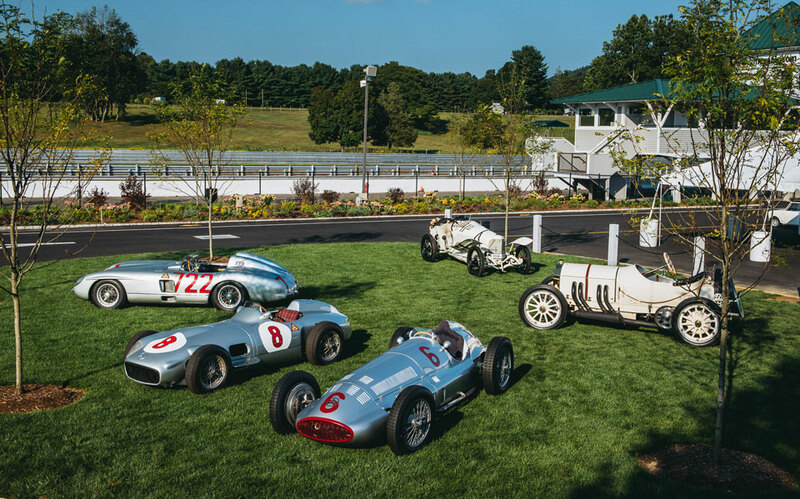 With Honored Collectors, Honored Guests and dozens of other special features, Historic Festival 35 is a must-do for any car enthusiast. 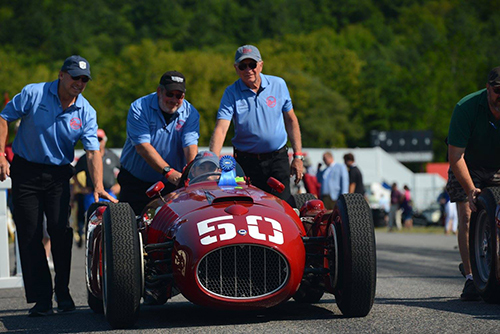 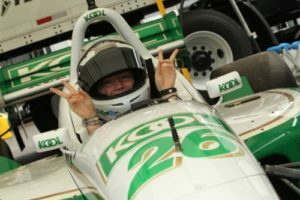 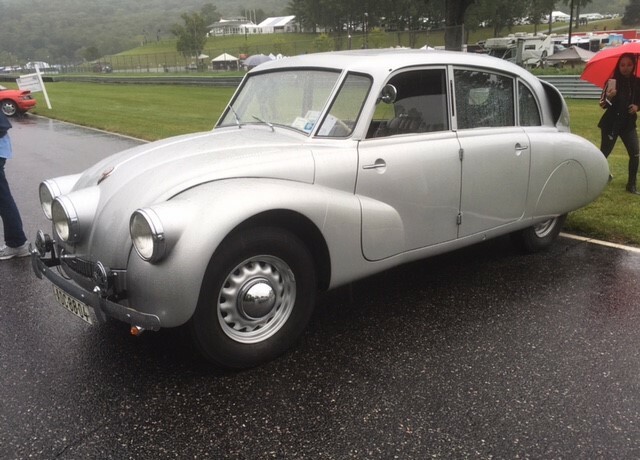 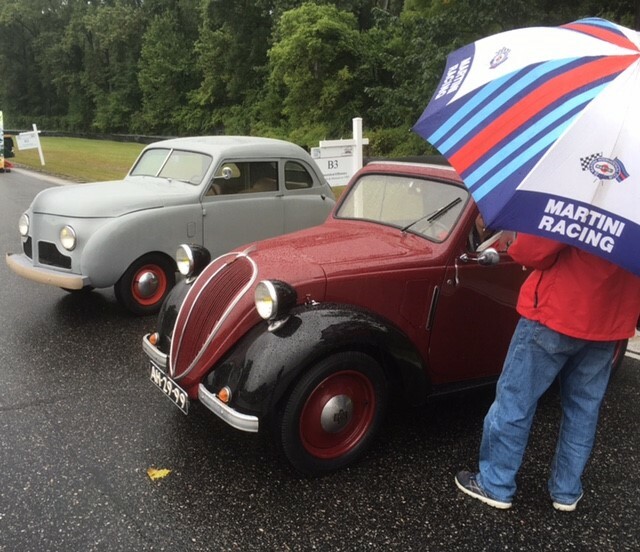 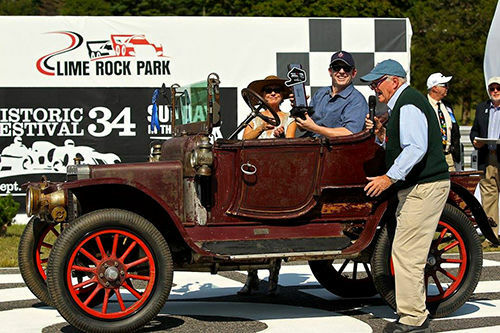 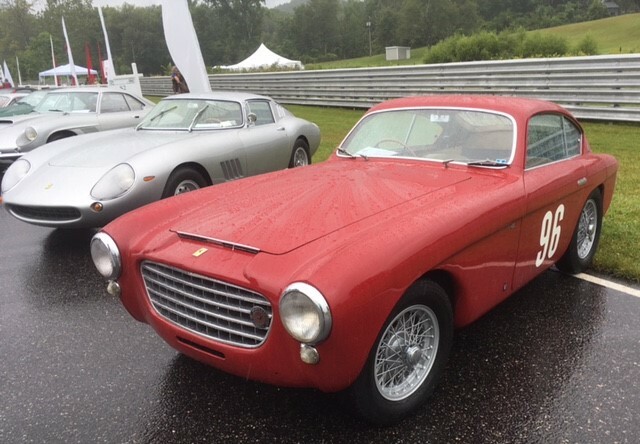 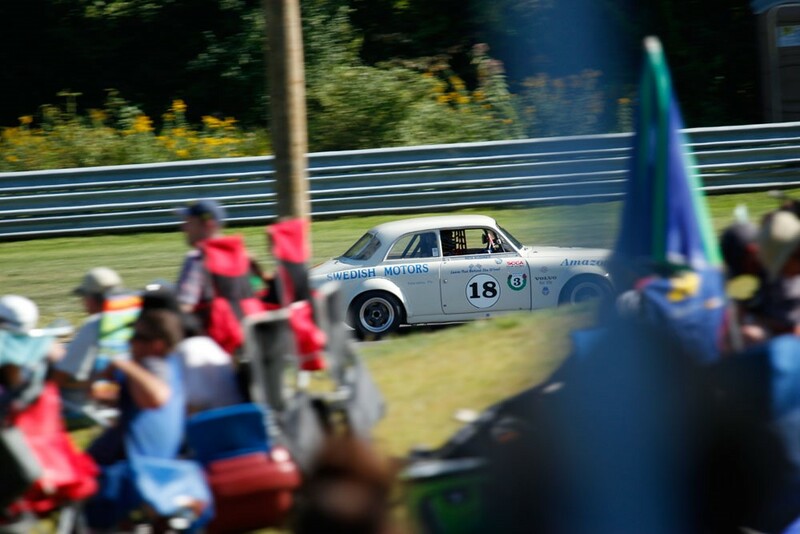 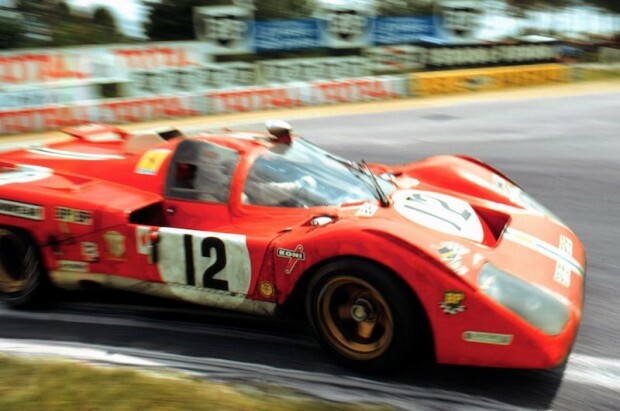 LAKEVILLE, Conn. – Since 1983, Lime Rock Park has held its annual celebration of historic motoring significance by combining authentic-car vintage racing with a prestigious Concours d’Elegance. 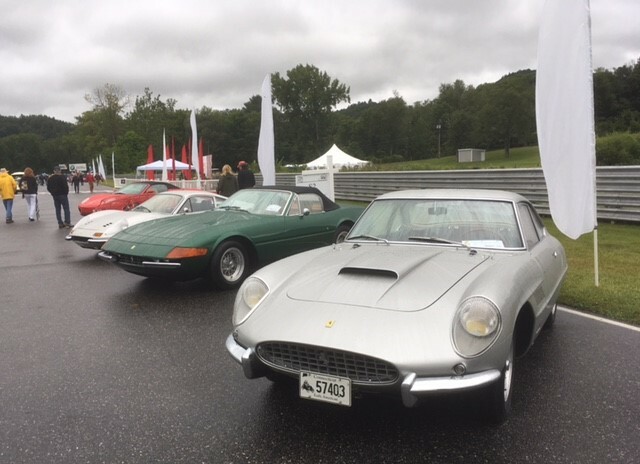 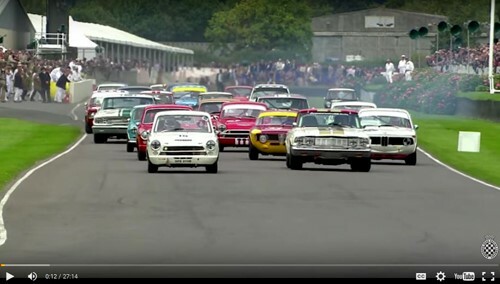 It’s an event unique to North America in that the racing and the concours are all on one property during one major vintage and historic event. 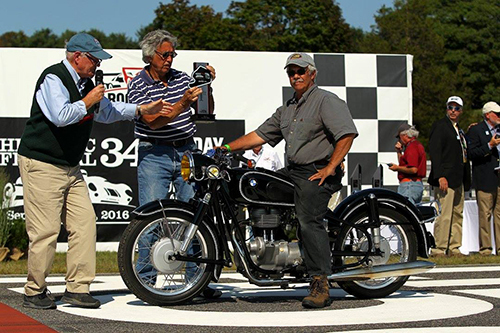 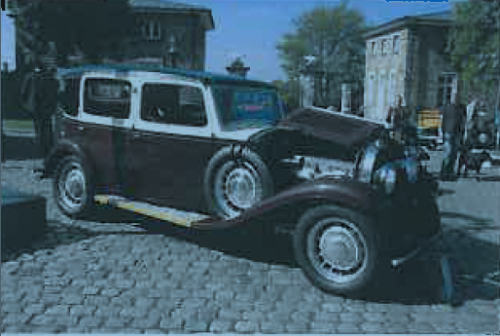 New for 2016’s Historic Festival is an automobile auction, “Cars for Enthusiasts.” Conducted by famed New York City house Guernsey’s, the auction will begin immediately following the September 4 Sunday in the Park Concours d’Elegance awards ceremony. 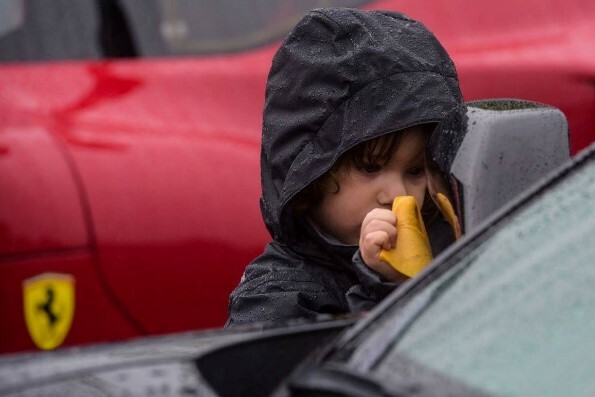 ► The Festival welcomes a presenting sponsor, the Prestige Family of Fine Cars, the leading vehicle dealer network in the Tri-State Region with more than 50 years of service to the car-buying public in New York, New Jersey and Connecticut. 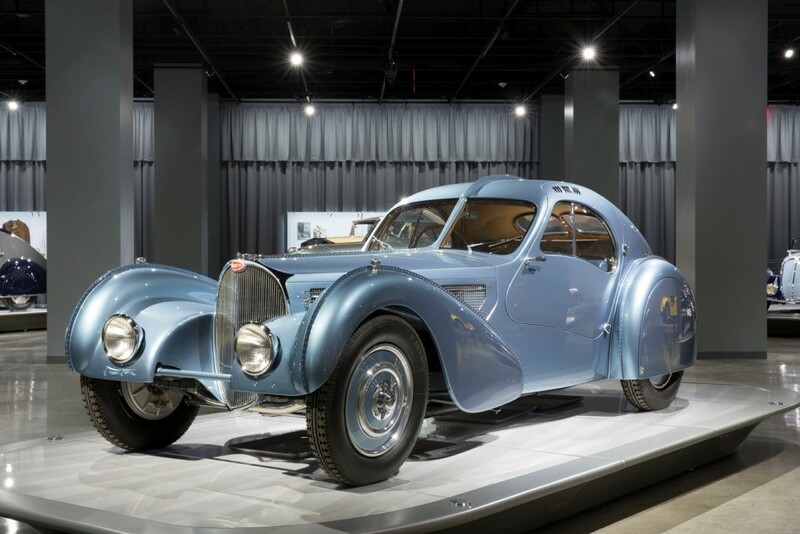 The dealer group retails a number of marques including BMW, Jaguar, Lamborghini, Land Rover, Lexus, Lincoln, Mercedes-Benz, Mini, Scion, Toyota and Volkswagen, out of Wappinger’s Falls and Middletown, N.Y.; Paramus, Mahwah and Ramsey, N.J.; and Stamford, Conn.
► Along with the expected 250+ entrants in the Sunday in the Park Concours d’Elegance will be one of the six Duesenbergs (to be announced soon) that have won Pebble Beach’s Best of Show since 1969.